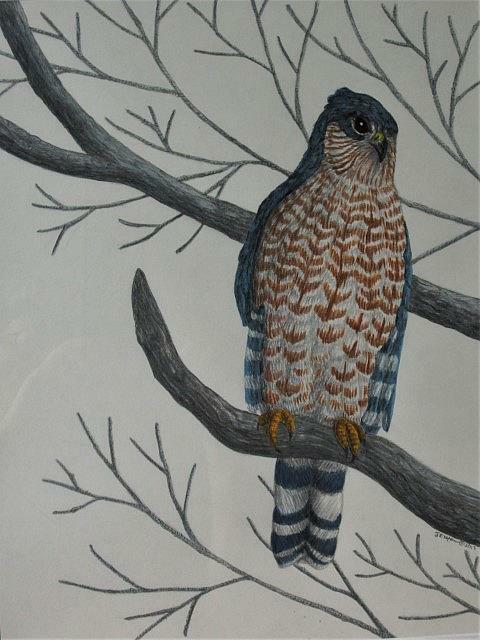 This Cooper's Hawk was drawn at a nearby nature center and then I worked up the sketches into a larger finished piece done in various kinds of pencils. Appropriately enough, it was finished on Earth Day 2017. This is a common raptor species of eastern North America and can be seen all times of the year. The female, as in this portrait, is larger than the male and has a pleasing color scheme.